Forget Vancouver, Toronto or Calgary. Yellowknife tenants pay the highest average rent in Canada, according to data from the Canada Mortgage and Housing Commission. 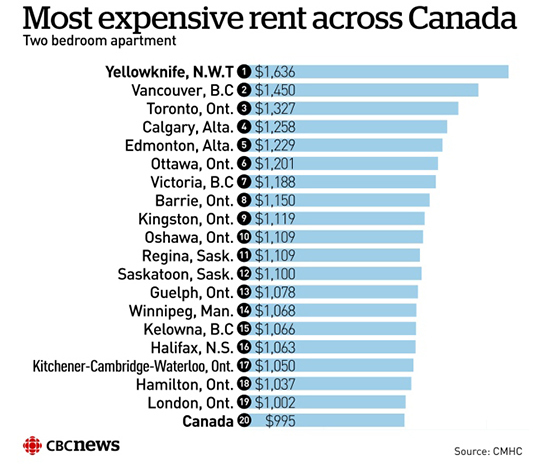 Though rental and real estate prices have been well-documented in the south, an average tenant in Yellowknife needs to come up with about $200 more per month than tenants in Toronto and Vancouver to make rent. 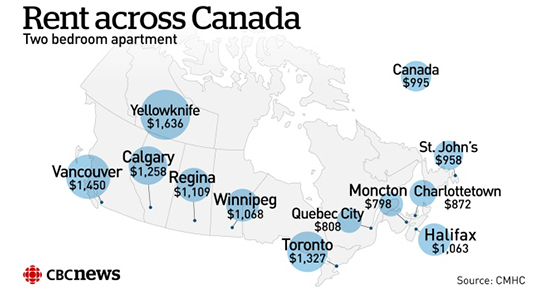 The average rent for a two-bedroom unit in Yellowknife is $1,636 per month. In Vancouver, a similar unit costs $1,450, and in Toronto, the rent would be $1,327, according to CMHC data. "Living in the North is hard," said Timothy Gensey, an analyst with the CMHC. "It's expensive. Everything has to be trucked up. To actually make money back and make apartment buildings viable, you have to charge higher rent." Though Yellowknife officially topped the CMHC's list, Gensey said other Northern communities like Iqaluit may pay even more rent. However, Iqaluit isn't tracked by CMHC data. However, for the first time in years, prospective tenants in Yellowknife would have noticed a drop in rental prices in 2016. Prices fell by 2.2 per cent for a two-bedroom apartment this year, Gensey explained. That drop came from people leaving the territory and the recent downswing for the mining sector, he said. "What we noticed was people have been leaving. 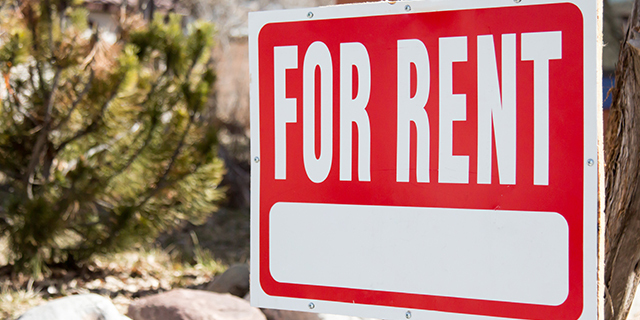 As vacancy rates start to elevate, rents tend to go down," Gensey said. Adrian Bell, a Yellowknife real estate agent and city councillor, says the drop in rental prices is significant. He says he's never seen a noticeable drop in more than 20 years in the city. He attributes the drop to an increase in condo units being built and more people turning away from renting. For prospective tenants, this may mean now is a good time to find a place to rent. Gensey said long-term trends are unclear, depending on how well the diamond mines rebound and whether tourism takes off. "Last year, rents fell as people were leaving the territory," Gensey said. "Should they start moving back in and are not buying into the new home market, that should bring down vacancy rates and stop rents from falling."